When James E. Ryan began his term as the University of Virginia’s ninth president on Aug. 1, he emphasized an intention to listen carefully to the University community as he began developing a vision for UVA’s third century. Part of that effort is “Ours to Shape,” an initiative Ryan detailed recently with UVA Today. Q. What is “Ours to Shape”? A. “Ours to Shape” is a program for gathering input that includes a website inviting members of the University of Virginia and surrounding communities to share their thoughts and aspirations for the University. For me, it’s also a way to hear from many more people than I would be able to meet individually. Q. What do you mean by “Ours to Shape”? A. It’s a recognition that what happens from here on out depends on all of us. We literally have the opportunity and the responsibility to shape our future. Q. Why did you decide to launch this effort? A. First, I still have a lot to learn. I’ve spent the past year learning as much as I can about the University, but there’s still a great deal that I don’t know. Second, among the thousands and thousands of members of this community and our alumni, I know for a fact that there are great ideas out there, and I would love to hear about them. Third, I plan to use this to help to articulate and refine a vision for the University. I have my own ideas, of course, but in my view, a vision is only compelling if it is a shared vision. Q. As you work on that shared vision, what are your foundational goals as president? A. My primary goal is to help UVA become the very best version of itself. I don’t think we need to change our fundamental values of student self-governance, our commitment to great teaching and a remarkable student experience, our robust research and our commitment to diversity and inclusion. Those are exactly the right values. Our great challenge is to make sure we are living those values every day, and that we understand what it takes to live those values. Q. As part of Ours to Shape, you highlight the themes of community, discovery and service to frame conversations. Why did you pick them? A. The themes of community, discovery and service came up again and again in conversations I’ve had with faculty, staff, students, alums and friends. In many ways it’s not surprising, because those themes are deeply connected to the fundamental values of this University and are critical to the University’s future. In many ways, they are a bridge that connects the University’s past to its future. 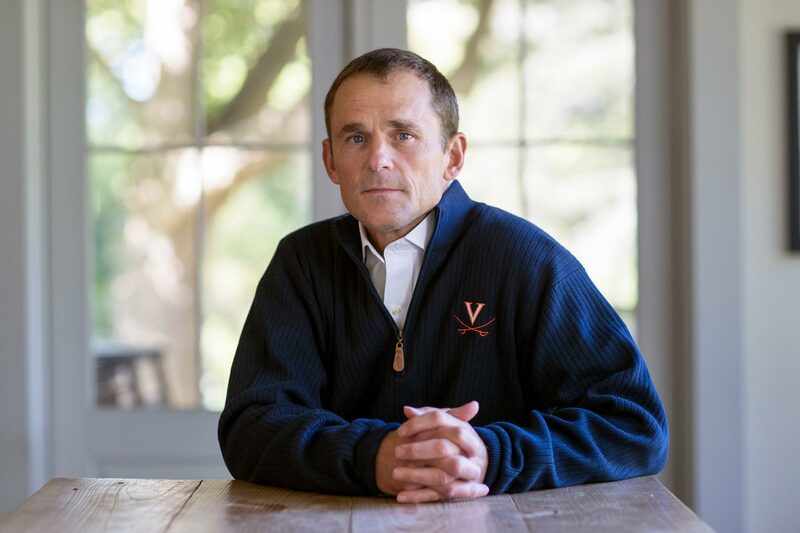 I’ve heard stories about the strong sense of community on Grounds and among the alumni, and the importance of a strong relationship with the communities surrounding UVA. I’ve learned about some of the truly remarkable research underway across the University, and the importance of supporting and encouraging the discovery of new knowledge. And I’ve been heartened by the enthusiastic support of public service and the idea that service should be at the core of our mission as a public institution. Q. What questions are you asking? A. With respect to community: How do we create an unparalleled residential experience for students, in and out of the classroom? How do we strengthen the sense of community on Grounds, with the greater Charlottesville region, and with our alumni? For discovery, the questions are: How do we best enable faculty to discover new knowledge? How do we best enable students to learn about the past, themselves and the world around them? And for service: How do we provide the most valuable service to the commonwealth? How do we help prepare our students for a lifetime of service, regardless of their chosen fields? Q. Will the responses and the shared vision that come from this process better position UVA to pursue its mission? A. In thinking about how we can strengthen our community, promote discovery and enhance our commitment to service, my hope is that we do so with an eye toward our collective impact on the world. Universities should be a force for good in the world, and UVA is no exception. It is my hope that our University will be known as the one most determined to making the world a better place through the preparation of our students to be ethical leaders; through our research; and through our partnerships with the numerous communities we serve.